Life as a modern day firefighter is one of challenges and achievements. 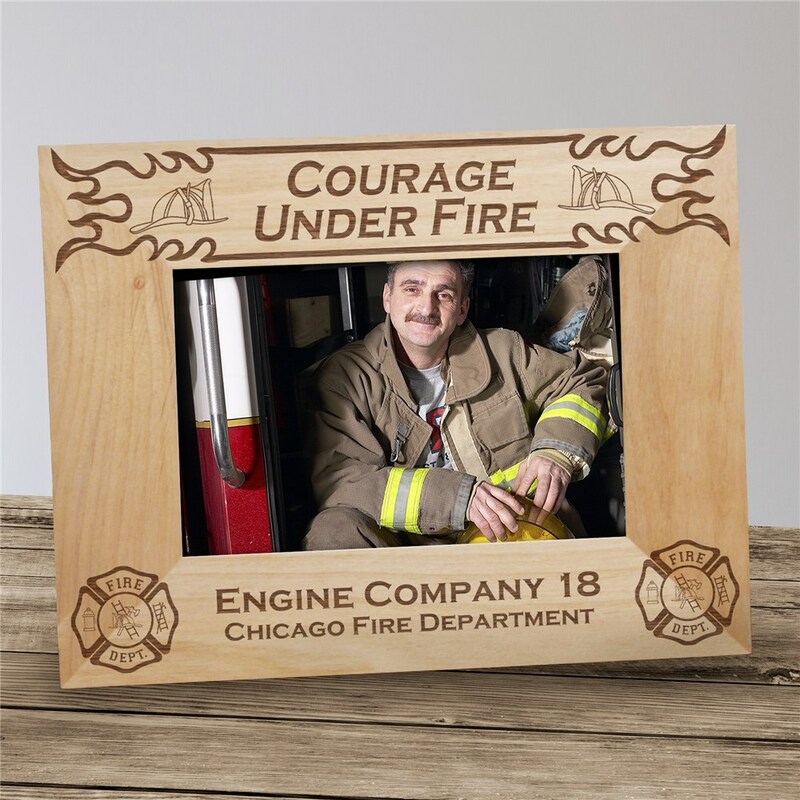 Proudly display a photograph of the entire fire station in these Unique Fire Department Personalized Wood Picture Frames. An extremely affordable personalized gift that everyone in the fire house will cherish forever. Showcase the new graduating class in this handsomely engraved picture frame.